Security specialist Prevx showed us some of the latest scary techniques being used to take unsuspecting web users' credit card details, passwords and personal information, as well as turn on your webcam and watch you. Worryingly, something as simple as a failure to update Adobe Acrobat reader and then clicking on the wrong PDF file could put your PC at risk, and the real concern is the increase in 'zero day exploits' – unpublicised or previously unknown exploits that allow hackers to seize control of computers. "Zero Day exploits are now the norm," said Prevx's expert. "If you don't update your software – even the third party stuff – immediately you simply will be compromised. "Three years ago malware threats were very basic, which made it much easier to research that threat. "Now it is so much harder, because the hackers are more aware of the need for secrecy and every component is encrypted. "You get software that repacks itself so that its signature (the identifier that many anti-virus software packages use to root out malware) changes every minute. "Or recognisance software that is a tiny file – around 1k in data – which analyses your system and then reports back to the server on what malware programs would be most appropriate for that computer." "The number of Trojan downloaders that are appearing is increasing exponentially," Microsoft's Chief Security Advisor and former FBI cybercrime expert Ed Gibson told TechRadar. "This is about blackmail and extortion – it's as simple as that." 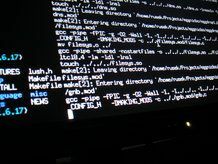 Once activated the Trojan installed a program that allowed such control of a computer that it could stream back live pictures via the computer's web cam (which it could switch on) or allow the hacker to record the sound from its microphone. Prevx's message is that even if you have regularly updated your anti-virus software, it may not be enough in the current climate. This suggests that you should consider having more than one company's protection.